It is once again Article 370 on special status to Jammu and Kashmir. Again the BJP has thrown the first stone. The party&’s top leader, L.K.Advani, has said that the Article should be scrapped. Jammu and Kashmir Chief Minister Omar Abdullah has said in reply: “Over our dead bodies.” He tends to overreact but he is quite right in saying that the Article is sacrosanct. The Article was the result of long discussions held between Srinagar and New Delhi at the time of the state&’s accession to India. When the British quit in August 1947, they left it to the princely states either to join India or Pakistan. Kept in mind were the geographical proximity and the complexion of the population, Jammu and Kashmir shared borders with both India and Pakistan. However, a majority of the state&’s population was Muslim. The state&’s ruler was a Hindu. He preferred to stay away from both India and Pakistan. But he could not do so since the state was landlocked. Pakistan did sign a Standstill Agreement with him to extend all facilities even though he found that it wanted the state&’s ultimate integration with Pakistan. New Delhi was against the Standstill Agreement since it was negotiating with the ruler, Maharaja Hari Singh, to join the Indian Union. India was, however, prepared to leave all subjects with the state except foreign affairs, defence and communications. The Maharaja signed the Instrument of Accession on that condition. When the popular leader, Sheikh Abdullah, came to power he endorsed the arrangement because even at the time of the Maharaja&’s rule he had supported the agreement privately. But the Sheikh wanted strict adherence to Article 370 in letter and spirit. The authority of the Supreme Court, Comptroller and Auditor General and Union Public Service Commission was one thing which was to vest in the state exclusively according to Article 370. However, except for the subjects of foreign affairs, defence and communications, the state was supreme. Those who demand the scrapping of Article 370 or changing it through Parliament are making one big mistake. 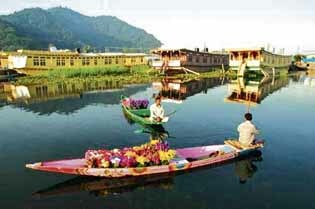 It is Kashmir which joined the Union of India on certain conditions. If they are to be changed the people of the state have to give their consent. The Union cannot alter the undertaking unilaterally. Omar Abdullah&’s angry reaction to Adavni&’s suggestion on Kashmir represents his viewpoint. His grandfather, Sheikh Abdullah, paid a bigger price for not letting New Delhi spread itself beyond the three subjects. He spent 12 years in detention because he reminded New Delhi that it could not cross the line drawn by the Instrument of Accession. In fact, most people in Kashmir, not Jammu, want to nullify the Instrument of Accession and they demand azadi. Many remind New Delhi of Prime Minister Jawaharlal Nehru&’s promise that once things settled down in the state, the people would be asked what their choice was. Pakistan was the alternative. Yet, those agitating against New Delhi for not making Nehru&’s promise good forget that he himself withdrew the offer and said that the situation had changed when Pakistan had introduced weapons in the region by joining the military pacts ~ the CENTO and NATO ~ which the West, led by America, had framed against the Soviet Union during the cold war. Notwithstanding the past, India cannot close its eyes to the alienation in the Kashmir Valley. It has increased after the hanging of Afzal Guru. The youth is particularly boiling. There is, however, little realisation that he was tried in the court and sentenced to death by the Supreme Court for the attack on Parliament which is the citadel of democracy for peoples in the entire South East Asia to appreciate and duplicate in their own countries without bringing the army into picture. The question of Kashmir is far from settled. Pakistan has to be associated at some stage and the wishes of the people in the Kashmir Valley have to be taken into consideration. The talk of scrapping Article 370 will only frustrate the efforts of pro-India-elements in the state. They have bravely withstood all pressures and punishments. Many have lost their life. Their struggle has not ended yet. the army which is not careful some times. It is there in the state to defend the borders and come to the assistance of civil administration in rare cases. But this is not happening. It is there all over. Even the state chief minister has asked for its withdrawal to allow his police to function. A recent incident in which two civilians died at the hands of the army has enraged people and Omar Abdullah. True, the army has ordered an inquiry and promised to take action against those soldiers who are found guilty. Still the suspicion is that the army has taken revenge for eight jawans killed by militants. A way has to be found to distance the civil and military sides from each other to avoid the combustible situations. One way to satisfy most people in the state is to implement Article 370. New Delhi should consider scrapping the laws extended by the Union after the arrest of Sheikh Abdullah who never doubted or challenged Kashmir&’s accession to India but questioned the measures taken beyond foreign affairs, defence and communications, the crux of Article 370. The Sheikh also accepted many other things in an agreement with Prime Minister Indira Gandhi. That agreement requires another look. Legal or other steps are not the end by themselves. People have to be won over. New Delhi is doing little in that direction. non-BJP and non-Congress parties? Is playing to the gallery more important than the national need? Advani should know better.